Dr Justin Chuang joined ASTRI in December 2011 with nearly three decades of experience in research, teaching, development and engineering in communications technologies. He received BSc in Electrical Engineering from National Taiwan University in 1977, and MSc and PhD, also in Electrical Engineering, from Michigan State University in 1980 and 1983 respectively. He was elected an IEEE Fellow in 1997. Dr Chuang has held various positions in several multinational organisations including Broadcom Corporation, AT&T, Bellcore, and General Electric. Furthermore, he has also served as Professor in the Department of Electrical and Electronic Engineering of the Hong Kong University of Science and Technology (HKUST) from 1993 to 1996. Dr Chuang is experienced in taking research through engineering to commercialisation for wireless and cellular systems, from chipsets to platform solutions. In the 1980s, he studied personal and mobile communications at GE and Bellcore (Telcordia, now a part of Ericsson) when modern digital wireless communications technology was at its infancy. One of his publications, published in 1987 on the delay-spread effects for digital modulation in such environments, was selected as one of the papers in the single-volume retrospective of the most notable works over the half century of the IEEE Communications Society: “The Best of the Best – Fifty Years of Communications and Networking Research”, published by the IEEE. The 1990s saw Dr Chuang active in teaching and research in Asia and involved in development of cellular systems for 3G and more advanced technologies. At HKUST, he established the academic and research programme in wireless communications and actively supported R&D activities in Taiwan and the Chinese Mainland. From 1996 to 2001, he was with AT&T Labs where he worked closely with AT&T Wireless on 3G systems evolution based on EDGE and WCDMA. He helped propose an OFDM-based system as a 3G alternative in 1997, which was a decade ahead of its time, similar to the 4G systems being actively pursued today. In 2001 he started his career in development and engineering in the IC industry, which is crucial in bringing wireless services to affordable consumer units, first as the Chief Scientist of Mobilink Telecom and later with Broadcom following its acquisition of Mobilink in 2002. 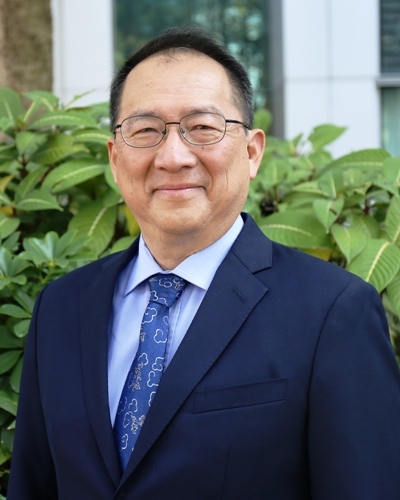 Before joining ASTRI, Dr Chuang was a Senior Director at Broadcom where his team was responsible for providing modem software and platform support for Broadcom’s mobile communications chipsets from its inception. At ASTRI, Dr Chuang and his team are leveraging the collaborative efforts among government, industry, university and research organisations to drive the advancement and commercialisation of enabling technologies for 4G and beyond.